Zilla spinosa is called silla or shubrom in Arabic. 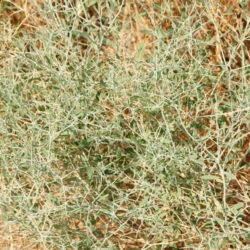 It is found in the Sahara-Arabian deserts in northern Africa, in the Middle East and on the northern to central Arabian peninsula. 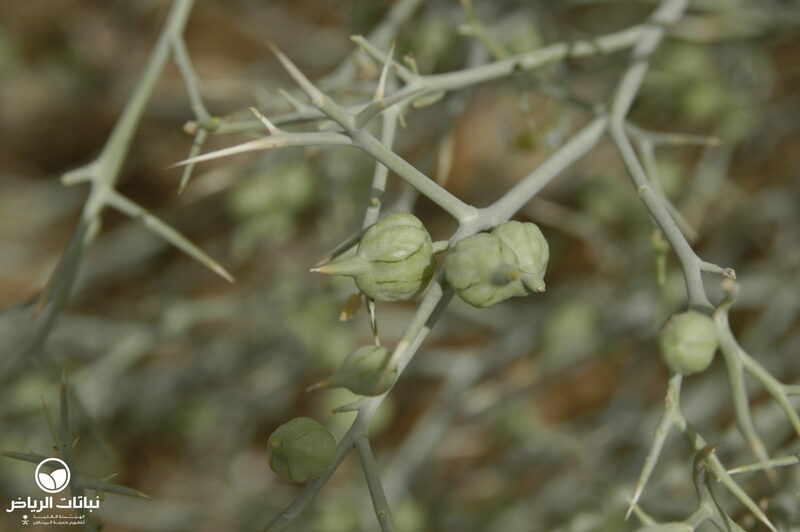 Z. spinosa is a shrub originating from arid regions which is well adapted to desert climates, and grows to a height of 60 cm. 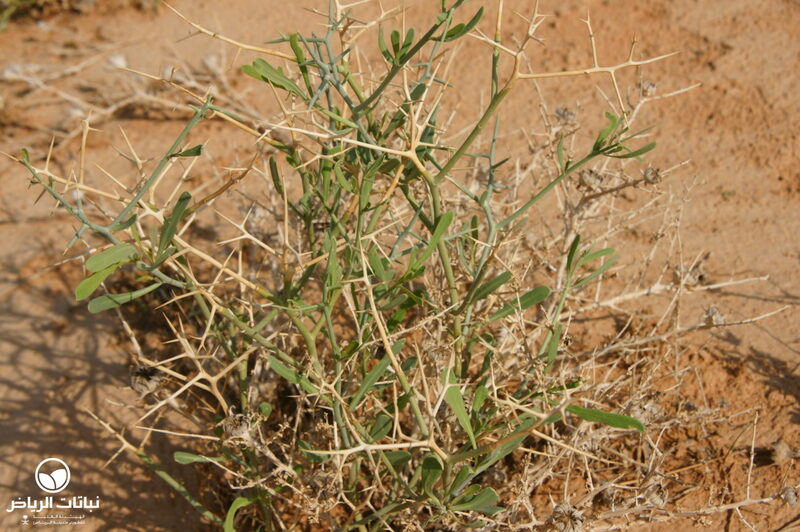 It is nearly leafless, thorny and dense-growing, mostly round in shape like a dwarf shrub. 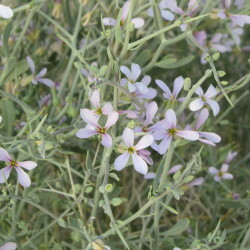 It has pale-blue to pale-violet flowers which appear in winter and spring, after which 5-mm seedpods develop. Propagation is by seed, or self-seeding. 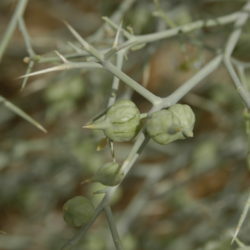 The branches and small leaves are olive-green. 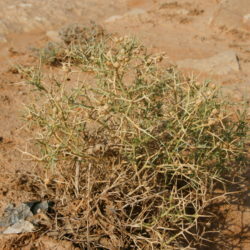 Zilla spinosa is tap-rooted, and grows in sandy, silty or rocky deserts. 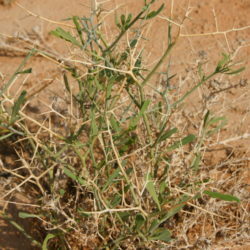 The shrub is highly salt-tolerant. 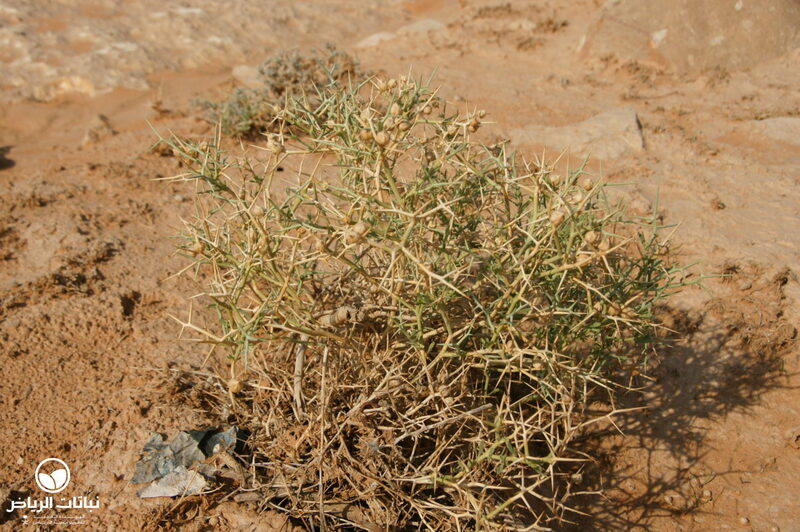 In Arriyadh and the surrounding areas, shubrom can be found very often, e.g. in Thumamah Park. 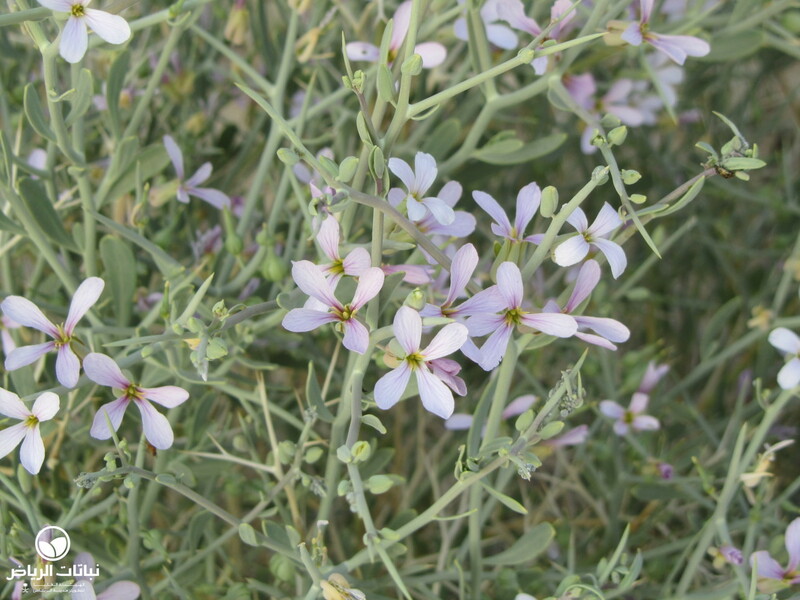 It can provide appealing design compositions with its light and shiny appearance and attractive, delicate blooms. 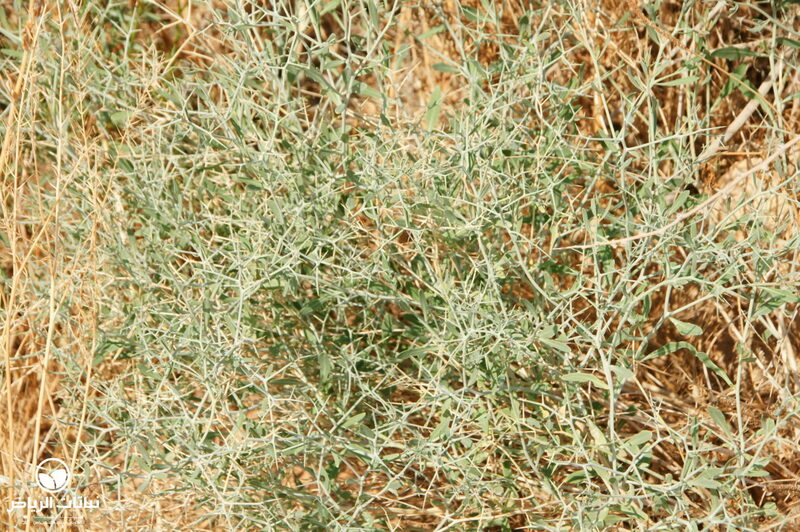 In landscape design, it can be used as a groundcover, or for grouped or massed planting. In open country, it can be recommended as a coloniser, as a bank or slope stabiliser, and for environmental consolidation. In projects such as the rehabilitation of natural plant cover, it will be effective in seed mixtures for initial planting measures. Because of its pleasing appearance, it should also be considered for urban landscape design, such as for road verge planting. Irrigation will improve growth and flowering.